Preschool education contributes greatly to children’s social and emotional development, thereby providing children with equal opportunities as they start formal education. Therefore, supporting the development of children with no access to a preschool through home-based interventions becomes critical. Through the Mother Child Education Program, an evidence-based, home-based educational program for children 5 years of age, who have not received preschool education, and their mothers, we empower mothers in providing support to their children’s education at home. 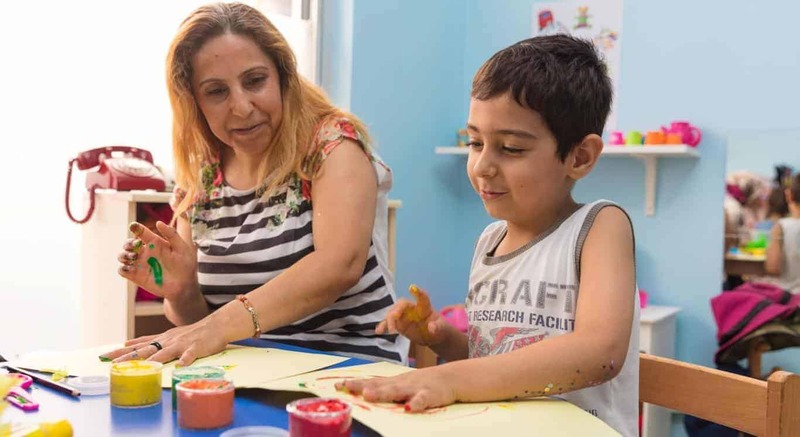 The program, developed to support children with no prior preschool education in their cognitive, emotional, social and physical development, also contributes to a sense of confidence in mothers and improvement in their parenting skills.